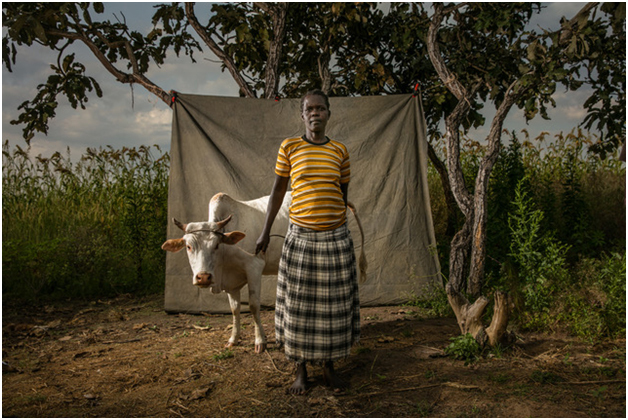 SANTA BARBARA, California, USA, Nov 8 2018 (IPS) - While its conflict ended in 2007, Northern Uganda struggles with its legacy as one of the most aid-dependent regions in the world. Linda Cole, founder of African Women Rising (AWR), who has vast experience working in conflict and post-conflict regions, realized that programs don’t always reach the people who need it the most: those living in extreme poverty. Couple this with the fact that most post-conflict programs are geared toward men, Cole created African Women Rising with the belief that there is a better way to impart meaningful and long-term change for women in these communities. Rooted in the conviction that women should be active stakeholders in defining their own development strategies, AWR’s programs focus on providing people with access to capital to be able to invest in farming or businesses, working in partnership with farmers to sustainably improve yields and reduce vulnerability to environmental challenges, and providing adult and girls’ education to empower people to take action in their communities. In order to become a better farmer, businesswoman, or simply a more productive member of society, women must know how to read, write and calculate. AWR is helping over 9,000 of the most vulnerable women and girls reclaim their lives, and empower future generations, building on initiatives which allow for self-sustaining solutions. The majority of the women African Women Rising works with are widows, abductees, girl mothers, orphans or grandmothers taking care of orphans and other vulnerable children. For women who were forced to participate in the war against their own people, the return home is often a grim experience. Many return to areas where access to primary health care, education or arable land to farm is tenuous at best. 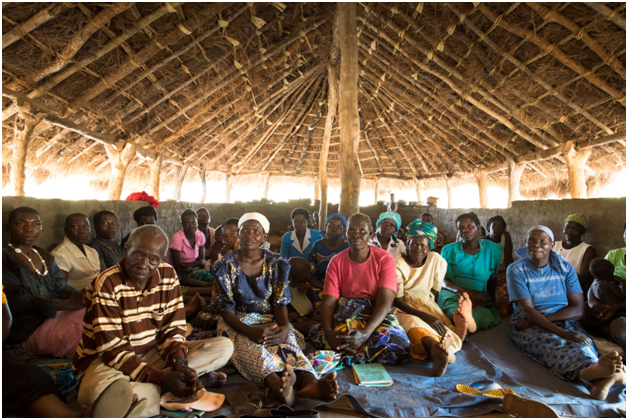 Accordingly, throughout the last twelve years, AWR has been working to break this paradigm of extreme dependency and create a foundation of self-sufficiency and sovereignty for women in these rural communities, with three foundational programs: micro-finance, education, and agriculture. 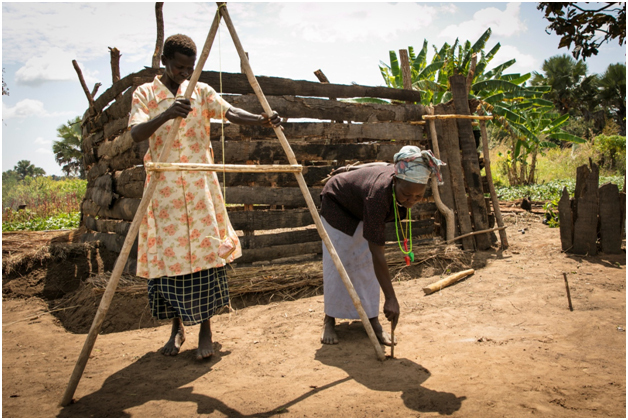 In the last number of years, Northern Uganda has seen a dramatic increase in refugees coming from South Sudan. Over one million people have crossed the border, approximately 80% are women and children, some arriving into the communities where AWR is working. 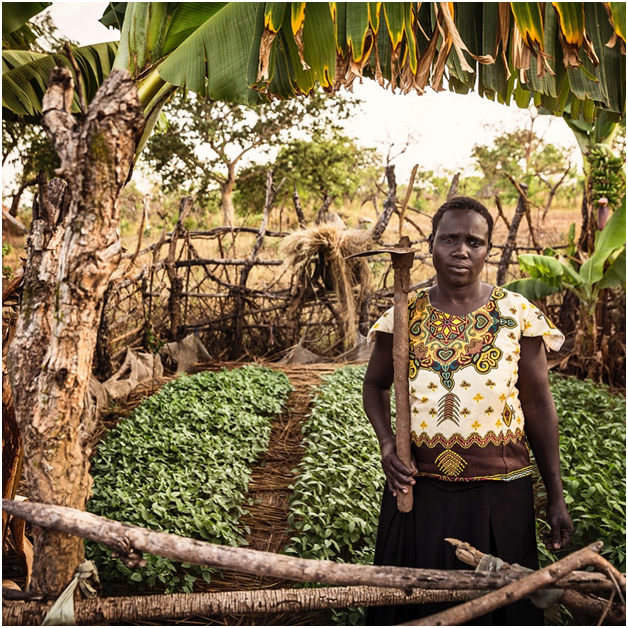 AWR is currently working with 6,600 refugees in Palabek settlement camp, helping them start and maintain permagardens to increase access to food and income. Their micro-financing program is founded on proven Village Savings and Loan methodology, with an approach based on savings, basic business skills, and access to capital. AWR achieves this through rigorous capacity building and mentorship. The training classes focus on basic business knowledge and accounting to provide women with the tools to be successful. The viability of AWR’s model lies in its use of community mobilizers who provide technical support and mentoring for each group over a three year period. This year, AWR groups will save over $2 million, all coming from women’s weekly savings of 25 to 75 cents. As the largest provider of adult literacy in Northern Uganda, AWR’s 34 adult literary centers provide education to more than 2,000 adults. However, they are more than a place to become literate. Participants identify issues that are relevant to them and discuss how to solve them. For example, the lack of trustworthy candidates in a recent election made over 50 students to run for public office. Centers have also repaired boreholes, opened up new roads, started marketplaces and community schools for children. Their education programs for girls focuses primarily on children of AWR members who participate in their livelihoods programs and are reaching a financial status where they can begin to sustainably afford school fees. 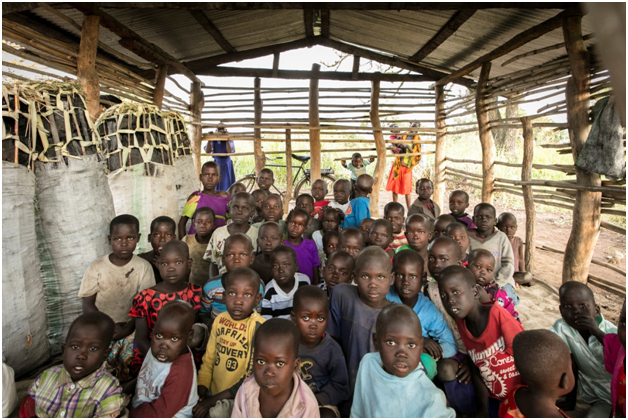 In some of these regions, not a single girl graduates from primary school – and in Palabek refugee camp, AWR has built a structure, so teachers have a building in which to prepare and teach lessons. Cole and her organization are working together with parents, caretakers, schools, and government officials to create sustainable change. The program provides academic mentorship and life skills to 1,150 girls in 11 remote schools in Northern Uganda, increasing access and removing obstacles to schooling. This includes providing washable menstrual pads for girls, so they can stay in school when they are menstruating, one of the biggest barriers for girls in continuing their studies. With each missed week, girls fall farther behind, often eventually dropping out entirely, perpetuating the cycle of poverty. AWR is building awareness and support for girls’ education in communities, and aims to have 55% of girls graduating their grade level this year. The organization’s agricultural training program teaches community members how to create, manage, and maintain their gardens (allowing for not only food, but income), over a year’s seasonal cropping cycle, tracking 25 different agroecological based indicators (most agencies track 2 to 3 in a development setting). The Perma garden and Field crop programs increase soil fertility, water conservation, and crop yields, teaching farmers in a participatory approach designed to maximize exposure to practical lessons, ensuring year-round access to nutritious vegetables and fruit. A better diet and nutritional intake, means increased income for participants and increased access to healthcare and schooling. These programs are symbiotic, and while there are no quick fixes, simple, community-based solutions wholly learned over time changes lives. AWR believes in a just and equal world where all people have the opportunity and right to live their lives with dignity. Through their programs they are working to break the cycle of poverty and dependence: as parents and caregivers are becoming financially stable they invest in the education of their children, and as children learn, a cycle of empowerment and self-sustainability begins. Like a seed planted in a garden, the cultivation of education provides opportunities for the entire community, for generations to come.